Carlos Ghosn: "The day the French state decides to get out, everything is open." PARIS -- Renault and alliance partner Nissan Motor Co. are ready to forge closer capital ties but will only do so if France sells its Renault stake, CEO Carlos Ghosn said on Friday. The comments are likely to deepen a power struggle that spilled into public view in April 2015 when the government increased its stake in the French carmaker to nearly 20 percent from 15 percent, with little warning to Ghosn or the board. 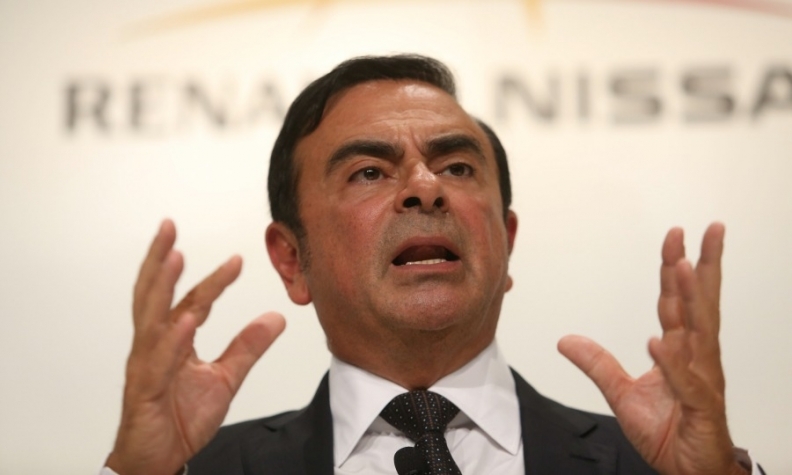 Ghosn, the CEO of both carmakers, said the resulting stand-off over government voting rights had persuaded the Japanese carmaker that no further consolidation was possible while France continued to hold Renault shares. "Following the soap opera of double voting rights and the discussion with the French state, Nissan has said very clearly ... that it will not accept any move on capital structure as long as the French state remains a shareholder," Ghosn told reporters and analysts. The 18-year-old alliance is bound by cross shareholdings but Renault and Nissan remain separate companies with distinct boards and executive teams. "The day the French state decides to get out, everything is open, and I can tell you it won't take too much time," Ghosn said. "But as long as they are in, and they want to continue to be a shareholder of Renault, the alliance will continue to move as it is." The government's share purchase in 2015, described at the time as temporary, enabled ministers to block a proposed opt-out from a law granting double voting rights to the state and other long-term shareholders. It unleashed a boardroom crisis that led to new Renault-Nissan shareholder pacts at the end of that year. Tensions resurfaced last month following a scathing Renault submission to a French official report. The carmaker accused France of acting on insider information when it bought the additional shares. The state, Renault's biggest shareholder, now holds 19.74 percent and two board seats. Martin Vial, head of the APE state shareholdings agency, demanded a retraction. "These are false allegations and they will have to be rectified," he told BFM radio on Wednesday. Renault will review the factual basis of its submission, Ghosn said on Friday. "Anything imprecise will be rectified, but everything true will be maintained." Far from the expected apology, his comments cast France as the main obstacle to progress for Renault-Nissan. "The Japanese would never accept to be part of an entity where - particularly taking into consideration everything which happened - the French state would be a shareholder of Japanese assets," said Ghosn. Renault's submission to a Jan. 25 Court of Auditors report said the government had exhibited "contradictions and conflicts of interest" and raised its stake from an "insider position" with privileged access to information. Emmanuel Macron, now the front runner in France's presidential election, orchestrated the state's 2015 intervention in his former role as economy minister.